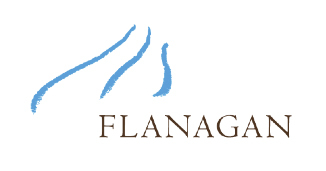 Founded in 1999, Flanagan Wines is committed to balanced, healthy vineyards, and to producing wines that reflect the integrity and distinctiveness of their site. Located in the Bennett Valley, the land is a combination of volcanic soils, steep slopes, south aspect, and abundant maritime influence, making it ideal for growing grapes. The vineyards, coupled with their “winemaker’s cave” and state-of-the-art equipment help create wines of intensity, structure, complexity and beauty.